Contact Porsche El Paso today for information on dozens of vehicles like this 2018 Porsche Panamera . This Porsche includes: BLACK/LUXOR BEIGE, TWO-TONE PARTIAL LEATHER SEAT TRIM JET BLACK METALLIC HEATED STEERING WHEEL 4-ZONE CLIMATE CONTROL PREMIUM PACKAGE PLUS 14-WAY POWER SEATS FRONT SEAT VENTILATION LED HEADLIGHTS W/PORSCHE DYNAMIC LIGHT SYSTEM BOSE SURROUND SOUND-SYSTEM WHEELS: 21 SPORT DESIGN *Note - For third party subscriptions or services, please contact the dealer for more information. * Pull up in the vehicle and the valet will want to parked on the front row. This Porsche Panamera is the vehicle others dream to own. Don't miss your chance to make it your new ride. Just what you've been looking for. With quality in mind, this vehicle is the perfect addition to take home. This is the one. Just what you've been looking for. 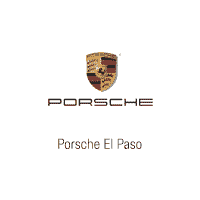 Contact Porsche El Paso today for information on dozens of vehicles like this 2018 Porsche Panamera 4 E-Hybrid. This Porsche includes: AIR OUTLET GRILLES PAINTED IN EXTERIOR COLOR VEHICLE KEY PAINTED HEATED STEERING WHEEL Heated Steering Wheel STORAGE PACKAGE DARK WALNUT INTERIOR PACKAGE Woodgrain Interior Trim LED HEADLIGHTS W/PORSCHE DYNAMIC LIGHT SYSTEM POWER STEERING PLUS ADAPTIVE CRUISE CONTROL W/PORSCHE ACTIVE SAFE Adaptive Cruise Control VOICE CONTROL 14-WAY POWER SEATS Seat Memory Power Passenger Seat Adjustable Steering Wheel Power Driver Seat Passenger Adjustable Lumbar Driver Adjustable Lumbar ILLUMINATED DOOR SILL GUARDS IN CARBON AMBIENT LIGHTING FRONT SEAT VENTILATION Cooled Front Seat(s) Heated Front Seat(s) WHEELS: 20 PANAMERA DESIGN Tires - Front Performance Aluminum Wheels Tires - Rear Performance PWR SUNBLIND FOR RR COMPARTMENT PORSCHE CREST EMBOSSED ON HEADRESTS BOSE SURROUND SOUND-SYSTEM Premium Sound System SMOKER PACKAGE MP3 Player PREMIUM PACKAGE PLUS Keyless Start Heated Rear Seat(s) Cooled Front Seat(s) Seat Memory Power Passenger Seat Adjustable Steering Wheel Power Driver Seat Heated Front Seat(s) Power Door Locks Keyless Entry Passenger Adjustable Lumbar Blind Spot Monitor Premium Sound System Driver Adjustable Lumbar *Note - For third party subscriptions or services, please contact the dealer for more information. * You appreciate the finer things in life, the vehicle you drive should not be the exception. Style, performance, sophistication is in a class of its own with this stunning Porsche Panamera. Enjoy driving? Well now you will get more thrills behind the wheel thanks to the heightened performance of AWD. Better handling. Better traction. Better driving experience. This is about the time when you're saying it is too good to be true, and let us be the one's to tell you, it is absolutely true.